It’s important that we don't define mindfulness too narrowly, or confuse different meanings with each other. 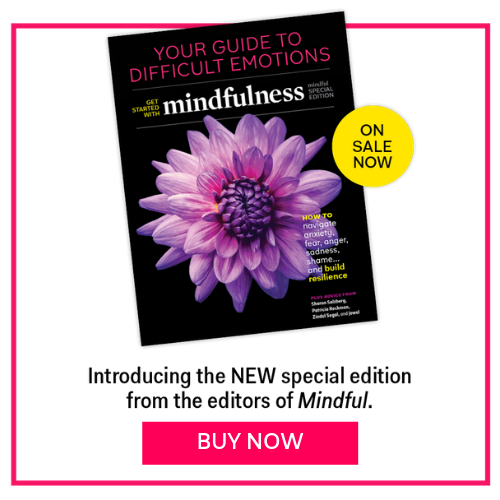 Here’s a quick guide to understanding the many meanings of mindfulness. Mindfulness is undeniably a buzzword in today’s culture, reaching the heights of popularity that yoga enjoys. But close inspection of the word “mindfulness” reveals no single, universal definition—it’s a complex term that names multiple, distinct yet interlinked ideas. This plurality gives rise to confusion when definitions are treated as interchangeable. Likewise, when it comes to critique, conflating different notions of mindfulness leads to a lot of potential benefit going out with the bathwater. Conflating different notions of mindfulness leads to a great deal of potential benefit going out with the bathwater. Buzz or no, this is no common craze. Handled with care, mindfulness training holds immeasurable potential for human flourishing. It’s therefore up to all of us speaking or writing about it to understand and communicate the nuance we intend. A human trait or capacity: the tendency or ability to be in a mindful state as defined above. This trait is present to a greater or lesser degree in all of us—the basic human ability to be awake and aware of what we’re doing, when we’re doing it. This ability can be cultivated through practice. A practice: an intentional and regular act which familiarizes the participant with the qualities of mindfulness and develops their capacity to be mindful. This might be formal meditation, mindful pauses, or informally remembering to be mindful during the day. A ‘toolbox’ of several practices: the word mindfulness is sometimes used to refer to a range of different practices including attention training, cultivation of qualities of heart, and even forms of visualization. Inquiry practices examining specific mechanisms of mind also yield ways of seeing the world that ease patterns of distress in the long-term. A training course or intervention that intentionally cultivates the trait (and state) of mindfulness. Training often includes a considerable amount of broader psycho-education, and may accompany and/or catalyze cultivation of other capacities such as gratitude or compassion. A quality of behavior often associated with being considerate—people sometimes joke “oops, that wasn’t very mindful of me!” when what they mean is that they’ve been accidentally thoughtless or hurtful. An umbrella term for an aspect of the dharma: the word dharma is used in Eastern contemplative traditions to refer to the ‘ways things are’ and any teachings that describe this. It involves an understanding of the mechanisms of psychological distress and the wisdom that leads to freedom from patterns of suffering. A research outcome: building the evidence base for mindfulness entails the counterintuitive task of making it measurable. Scientists “measure” mindfulness using self-report questionnaires, brain scans, and other methodologies—but can this complex factor be quantified so simply? Mindfulness as a research outcome may tell us something about mindfulness as a state, capacity or practice, but shouldn’t be confused with any of them: the map is not the territory.